1. You gain a lot of skills from it: photography, organising, social skills, basic html - they may seem like small things but your learning new skills even if it is only basic. 2. It's a great talking point. Lots of my friends ask me things about my blog, i have people ask me for recommendation or just generally ask me how its going and it amazes me every time that people are interested in it. It's also a great talking point for interviews - even if it has no relevance to the job or position that you're applying for, put it on your CV they could ask you about it. 4. There are some really great opportunities. Blogging can bring great opportunities to work with PRs and brands too - it's really flattering to know that brands, especially well known ones want to work with my blog. It doesn't exactly hurt being sent lovely products to review either. 5. There is an amazing community - It's filled with amazing like minded people, who are really supportive and there is nothing nicer than receiving a genuine comment from someone who has enjoyed their post. 6. It helps improve organising skills. Blogging takes a heck of a lot of organising - you have to plan posts, photos, content, promotion etc... and it takes a lot of effort and skill to keep yourself organised. Trust me, I'm a really organised person and i sometimes stray from the plans. 7. One of my favourites - if you like to organise your blog planning and posts etc... it is a brilliant excuse to buy lots of stationary. 1. Some people do like to say whats right and whats wrong with blogging and sometimes it can make you feel absolute crap. 2. It can take over your life - i spend the vast majority of my spare time planning, taking photos and writing posts and if not actually doing that then I'm thinking about doing that. 3. It can be quite easy to get a little envious of other bloggers - not in a terrible/ destructive way, id say its more flattering than that but it can be quite easy to be envious of another bloggers photos, writing style or opportunities they may get. Don't get me wrong, I'm very happy for the other blogs they've work bloody hard to get where they are but sometimes i get a bit jealous and wish i was more like that. 4. The last one also links into this one - it can be quite easy to compare yourself to others. On the occasions that this does happen it can be quite disheartening. 5. Along with working with PRs and Brands - come deadlines, they may not give them you directly but i always feel the pressure to try and get them up as soon as possible. 6. If i don't get a post up that i want too when i wanted too - i end up feeling really guilty and i know no-one actually minds because they aren't even aware of what posts going up when but i still end up feeling really guilty. 7. This one isn't relevant to everyone but choosing a blog name that has another name in it - i.e. 'youralmostalice' leads to the assumption that your name is Alice. I'm kind of used to the error now but it can be a little frustrating when i sign everything with my own name. There is probably a million and one more pros and cons that we could all add to the lists but this is the main few for me personally. I agree so much with the organisation pros you have ... I mean I thought I was organised before I started blogging but now everyday is planned and I know when I'm doing what and what pictures I'm taking - it's a bit crazy sometimes! 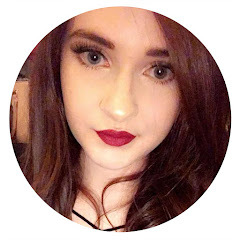 And I've been through the phase of comparing myself to other bloggers ... but I try and not do it as I get annoyed with myself :) Great post!! Organising definitely gets crazy, you would not think how much goes into it would you! It's hard not to compare yourself sometimes i try not to do it, but sometimes i just can't help myself! Yeah definitely, im always impressed by people who blog and work full time and have children too - i dont know how they do it!